Vermilion is designed to attach to the back of LOEWE televisions that are on either floor or table stands (not compatible with wall mounts); it then secures peripheral devices behind your television, leaving you to admire the stunning picture quality, clutter free. 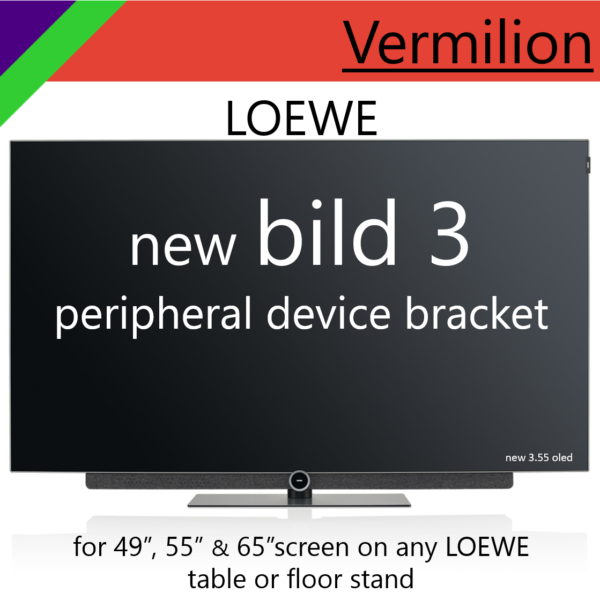 To achieve that minimalistic look, for LOEWE bild 3 televisions, we re-designed the frame that holds our revolutionary Support Grips. 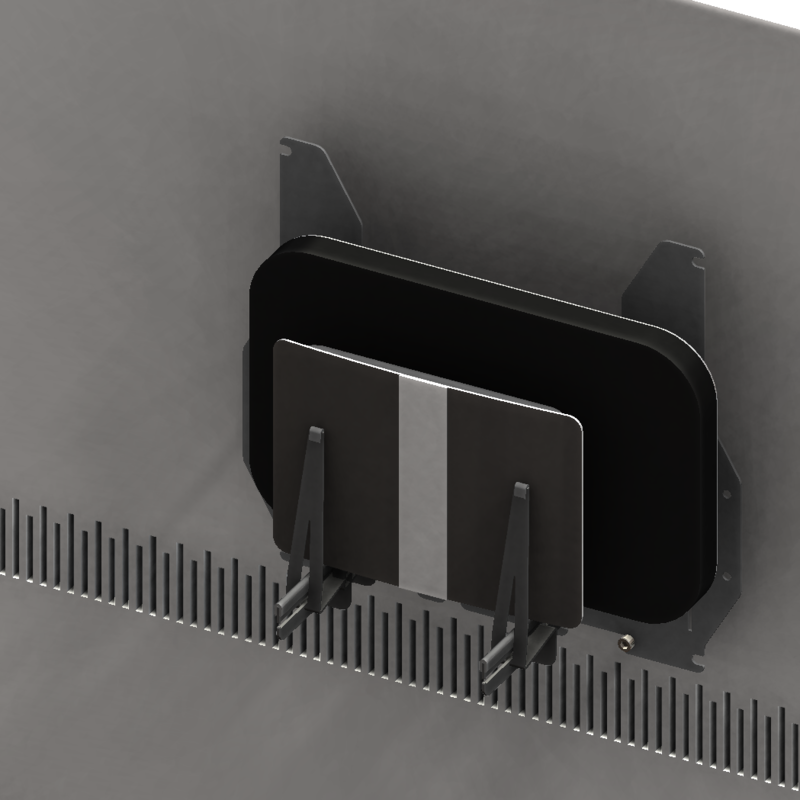 The resulting frame screws directly into the VESA mounting holes on the back of your bild 3, keeping the same adaptability for positioning the Supports to best compliment your peripheral device. Using stand-offs, Vermilion is held away from the back of your bild 3 allowing cooling air to move freely around both your peripheral device and the vents in the TV. 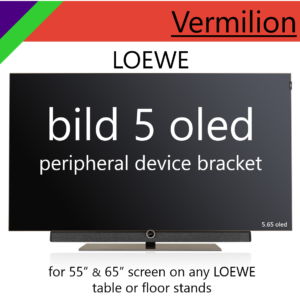 The stand-offs also stops any contact damage occurring between your TV and Vermilion. 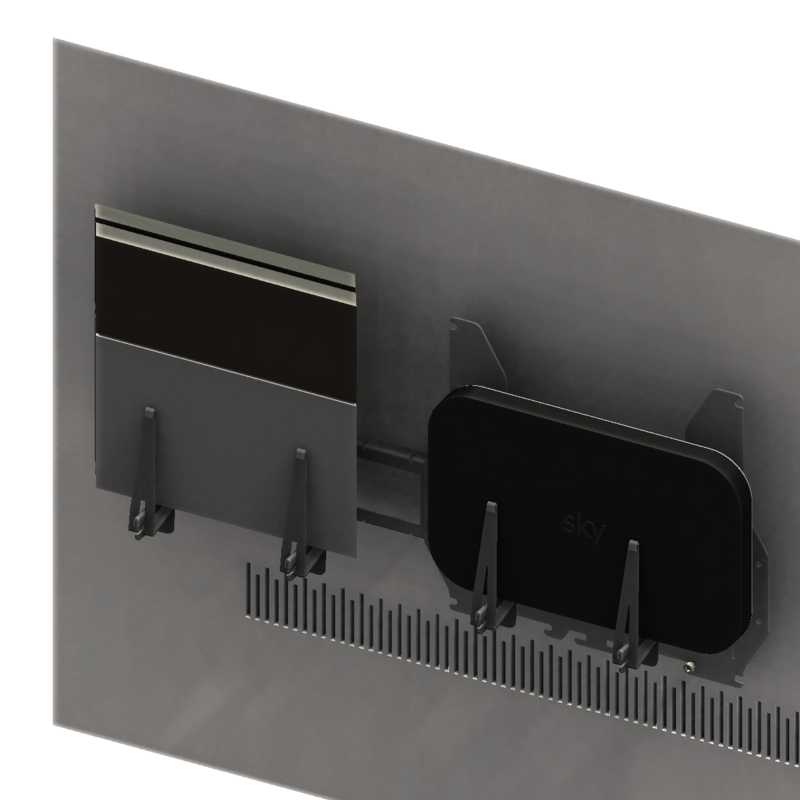 Because our Support Grips are so flexible and hold your devices firmly, we are not held back by the need for custom ‘cages’, or even worse, the dreaded “one-size-fits-all cage”. 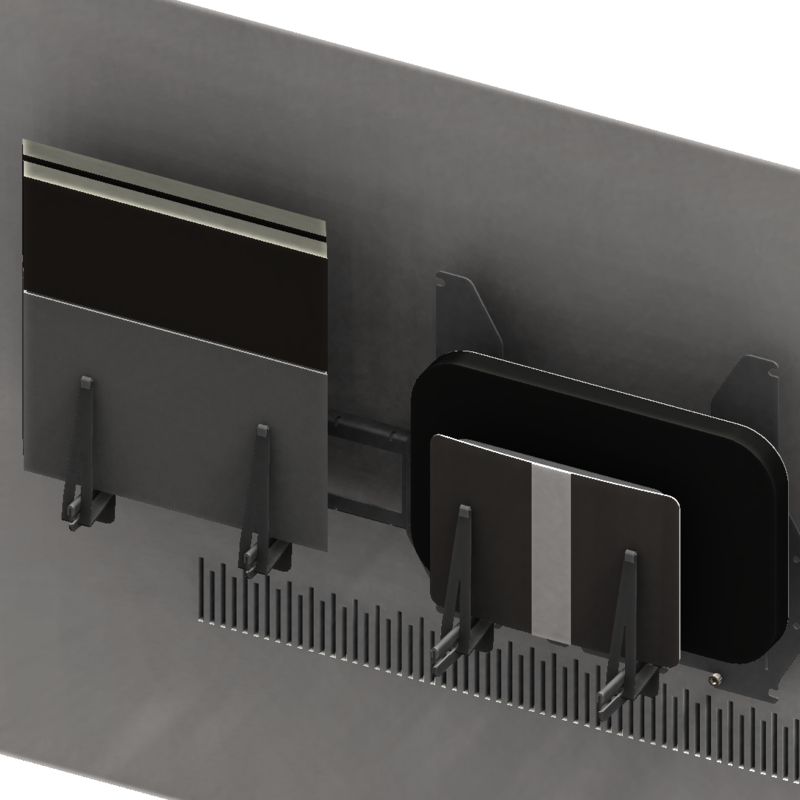 You know… the ones that allow your device to rattle around in them because they can accept larger devices too. That is not the Indigo Lime way! For a start, rattles are a no-no. Once the installation is complete, your device is held securely in place, with each contact point between your device and the Support Grips being rubber coated, protecting your device. 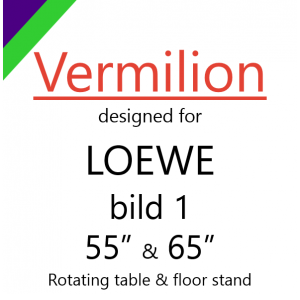 The Vermilion frame has been gently re-worked, taking into consideration what our customers have suggested would be useful. 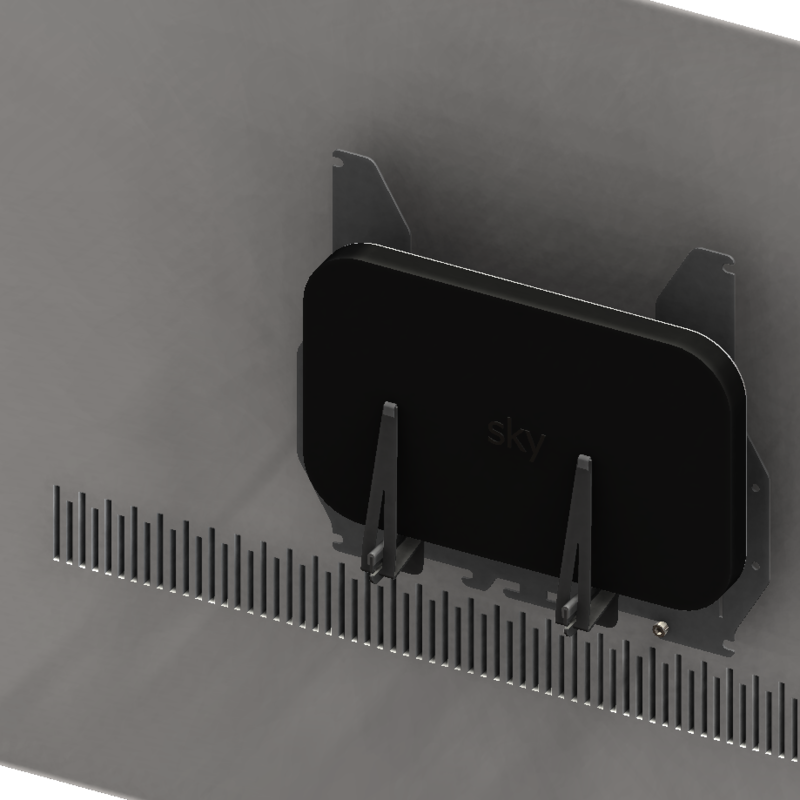 It retains the same Support Grip compatibility so your peripheral devices are held safely & securely whilst maximising air flow around your TVs rear vents and the peripheral device being held, and adds a couple of new features. 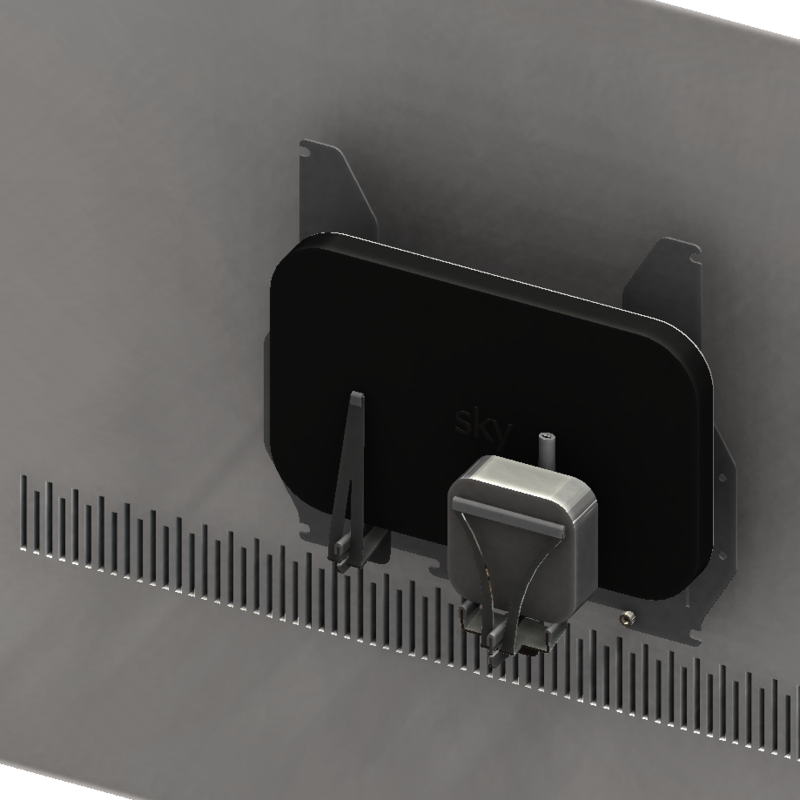 The little notches in three central cut outs are for assisting with routing cables behind the frame. 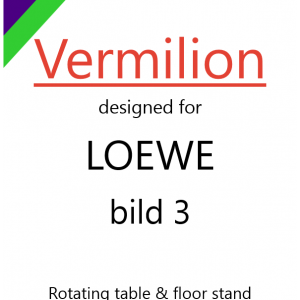 The ‘T’ in the centre of the top and bottom edge helps to centralise the cables for easy fitment into the cable management system within the LOEWE stand itself (power) or straight into the back of the TV (data cable). 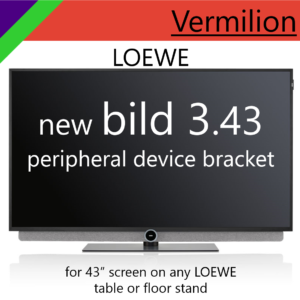 Vermilion works with LOEWE televisions that have VESA 100, 200, 300 or 400 patterns on the back. 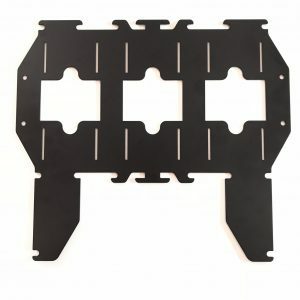 If you have a different television, head back to the shop to find the Indigo Lime bracket designed for your equipment. 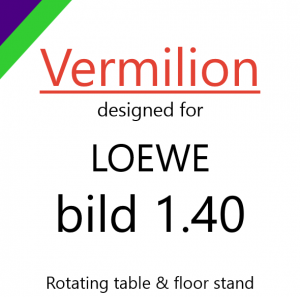 As Vermilion uses the VESA mounting points (100, 200, 300 or 400) to safely secure your peripheral devices to the back of your LOEWE television, your television must be on either a floor or table stand. Support Grip sets are supplied depending on the configurations you choose, as are additional frames. 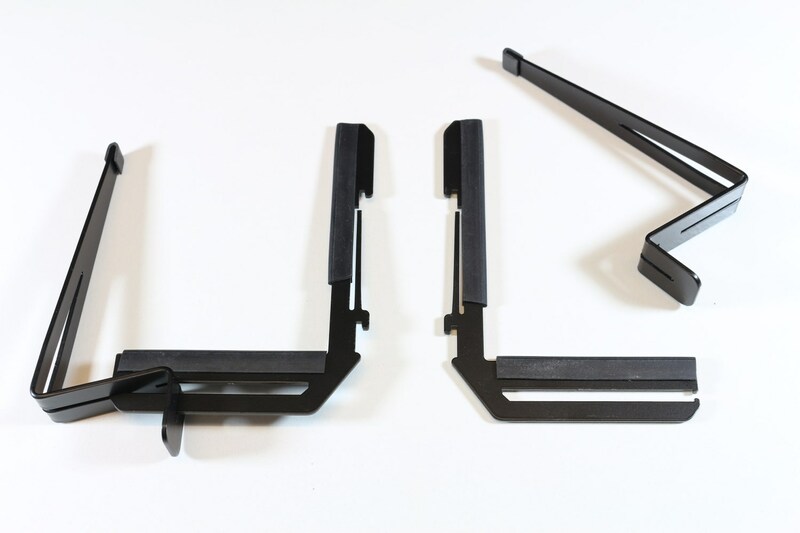 • A small spanner to tighten the stand-off onto the television.